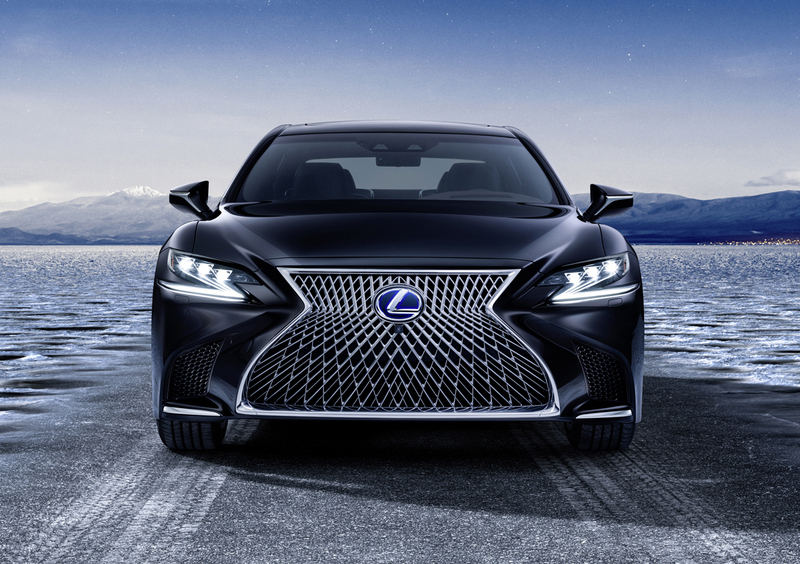 Making its global debut at the Geneva Motor Show, the second installment of their flagship line the 2018 Lexus LS 500h hybrid sedan had its coming out party. 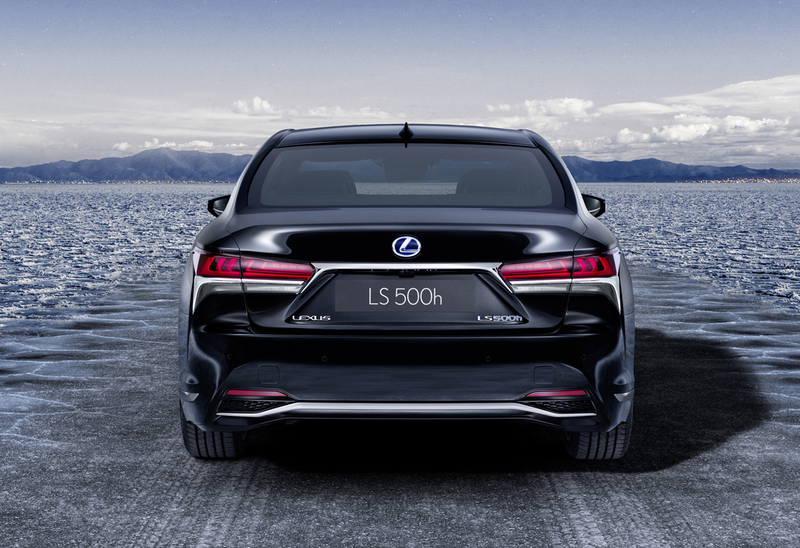 A full hybrid version of the new Lexus LS, the LS 500h features an all-new powertrain that will also be featured in the new LC 500h luxury sport coupe. 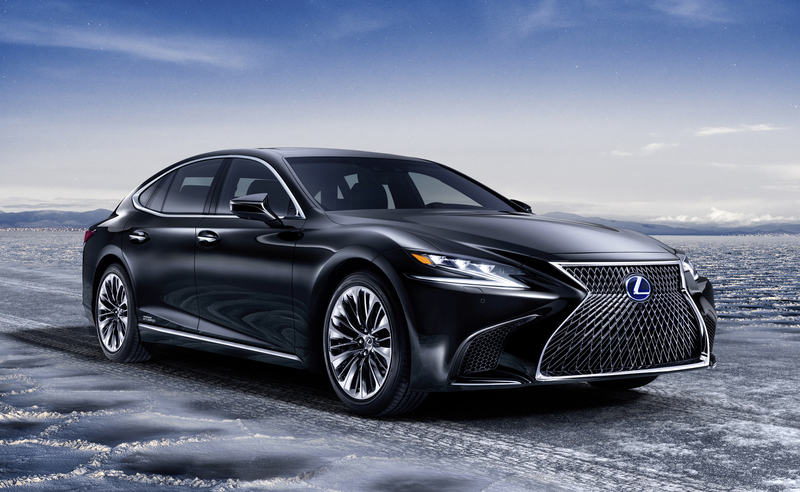 Set apart with only subtle visual signs, the Lexus LS 500h looks otherwise much like the LS 500 luxury sedan upon which it’s based. 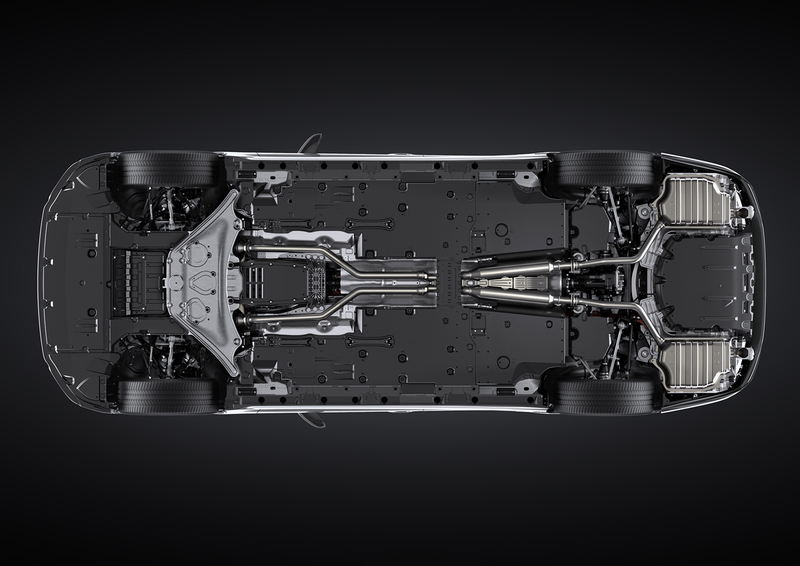 What’s under the hood however truly sets it apart. 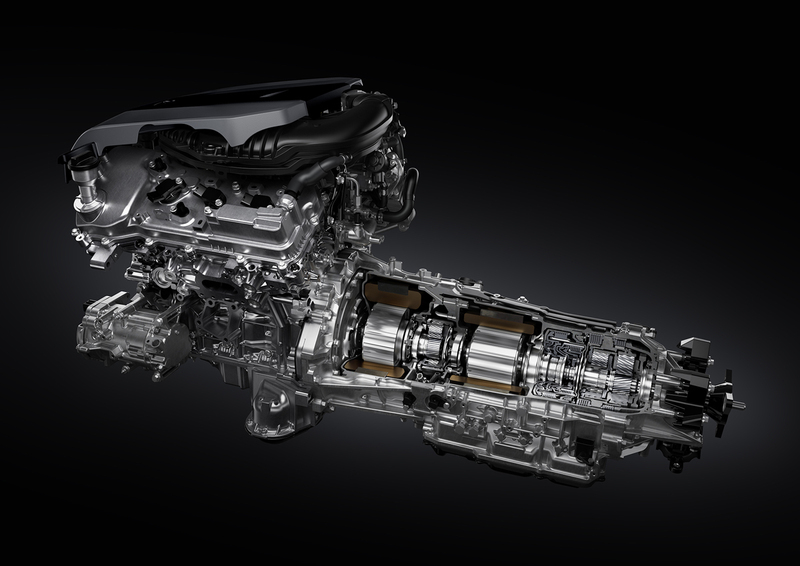 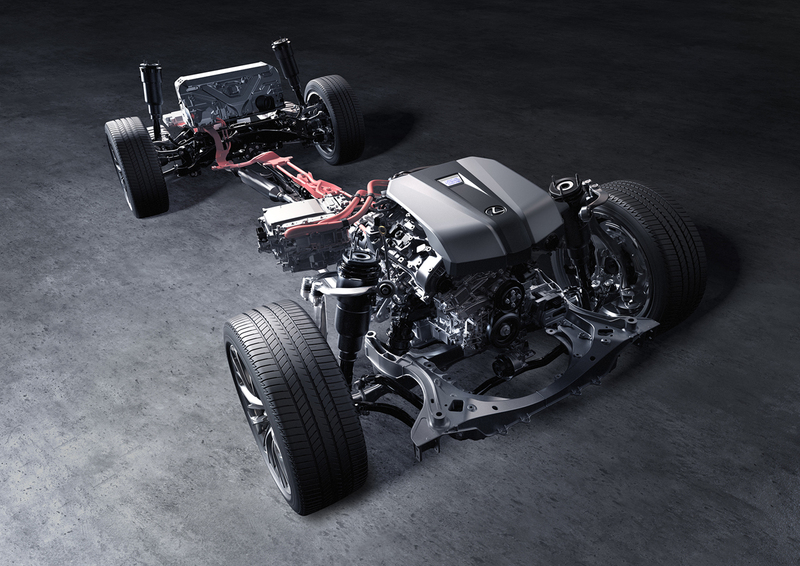 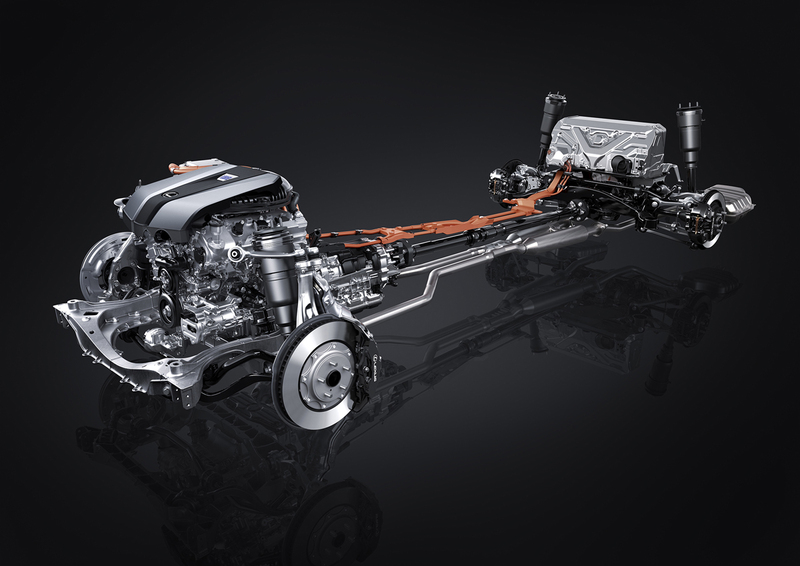 Starting with a naturally aspirated 3.5-liter gasoline V6, the LS 500h features a revolutionary new hybrid transmission with two powerful electric motors built into it. 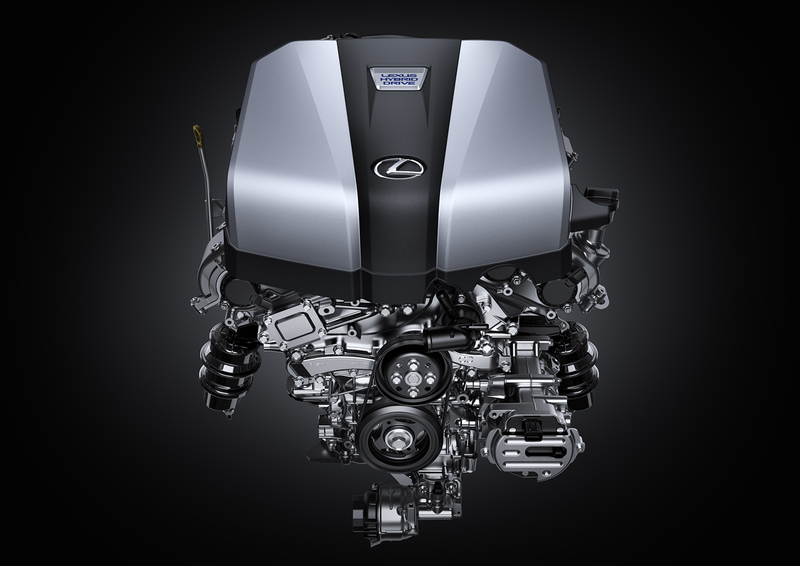 Together, the power sources offer up a total of 354 horsepower and can accelerate the LS 500h from 0-50 in 5.4 seconds. 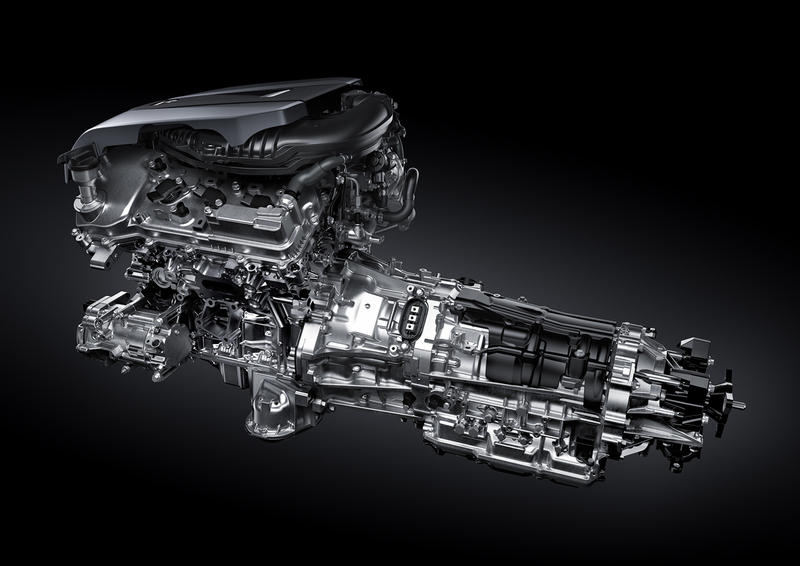 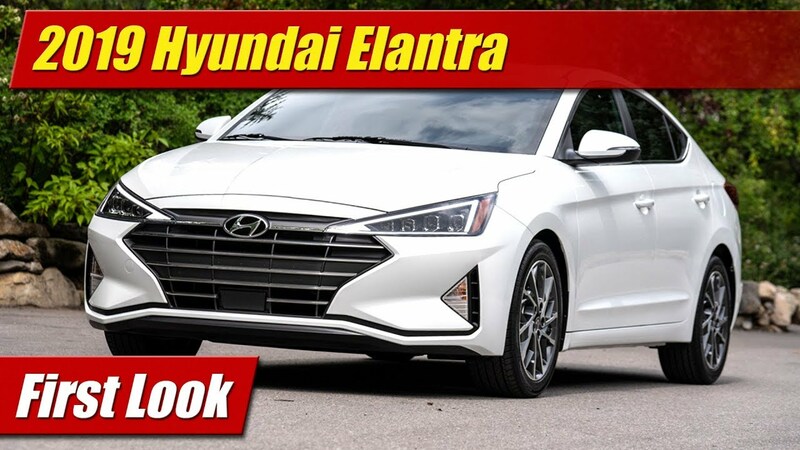 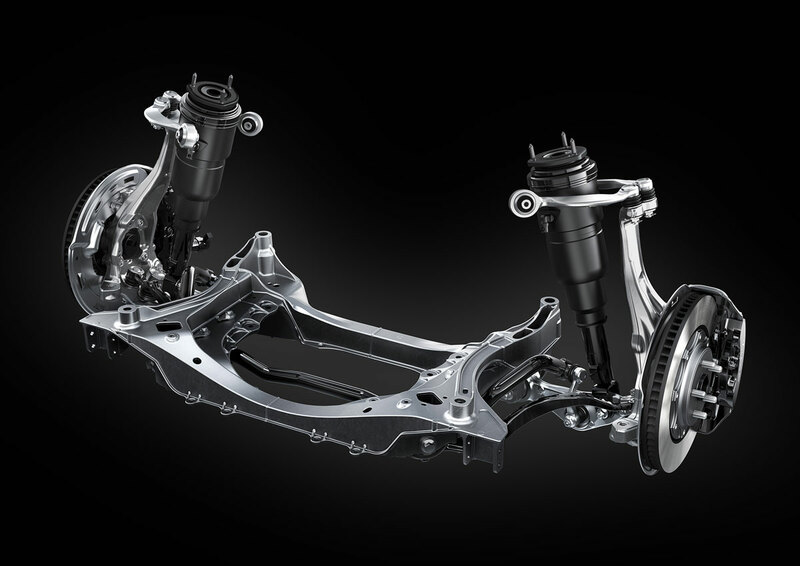 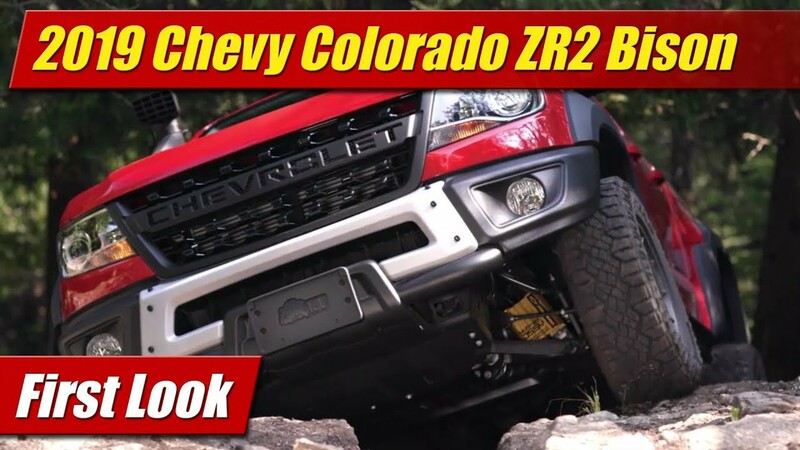 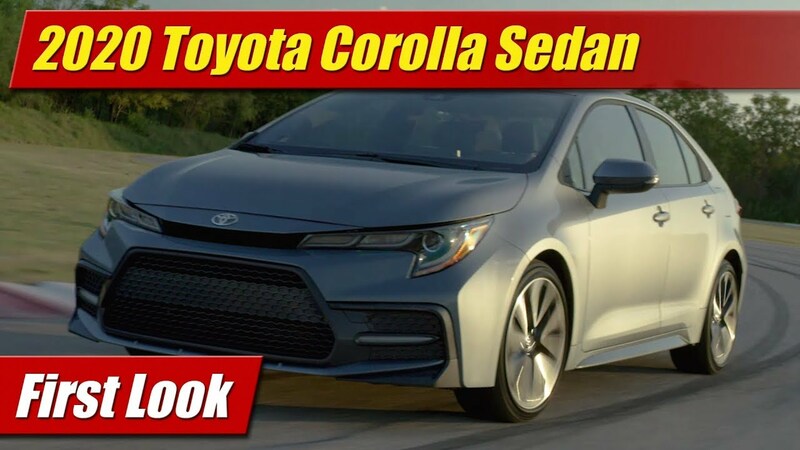 Called the “Multi Stage Hybrid System”, the transmission has four forward speeds and a continuously variable operating mode that allows for a more traditional feel than previous CVT type hybrid transmissions. 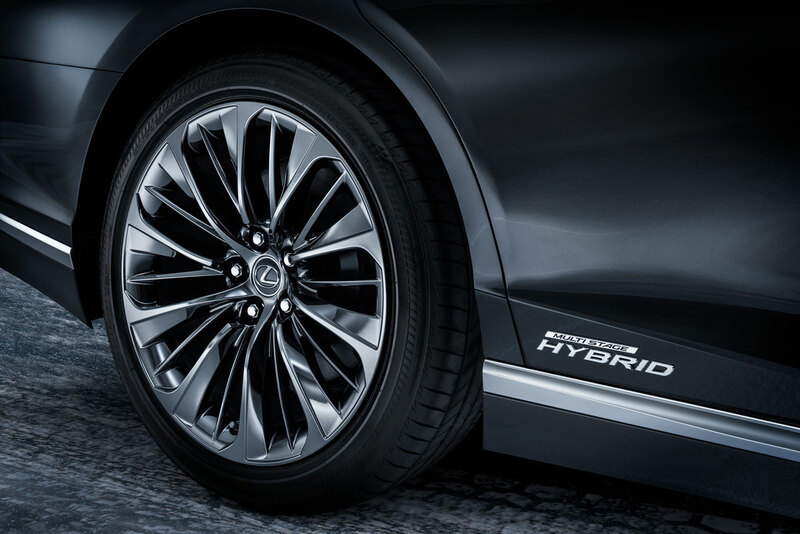 With the four speeds and its programmed shift modes modes it delivers the feel of a conventional 10-speed automatic transmission when accelerating and driving aggressively Lexus tells us. 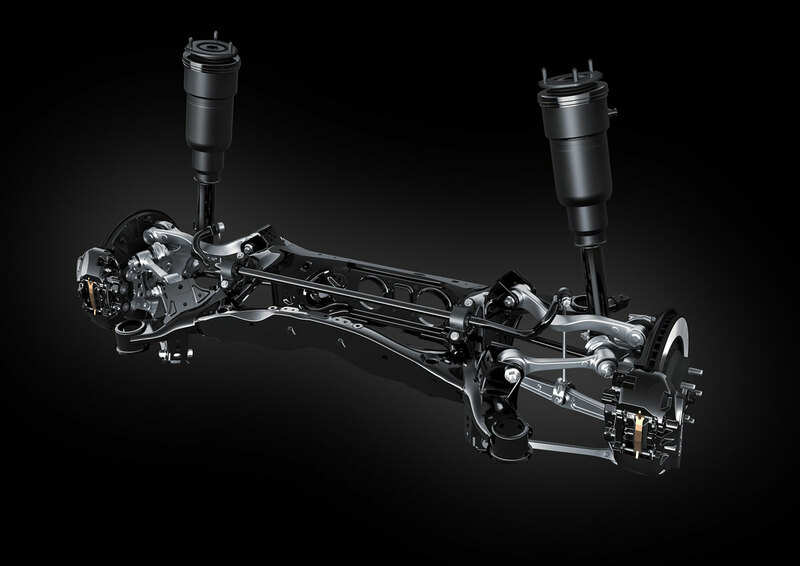 In top gear ratio ranges it behaves as a CVT, allowing the best efficiency at cruising speed. 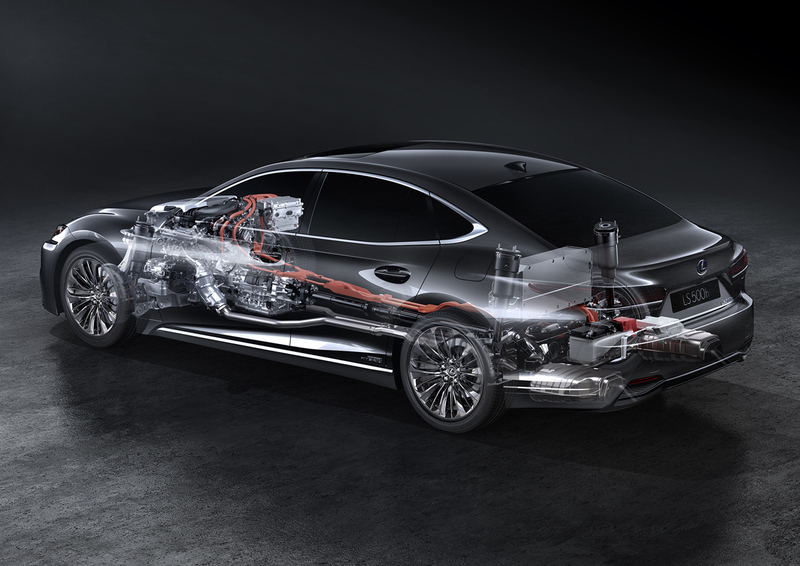 Though efficiency metrics haven’t yet been published, there should be a marked improvement over the last generation LS 600h with its use of a new 310 volt lithium-ion battery mounted above the rear axle and behind the rear sweat that’s not only more powerful but lighter than the old nickel-metal hydride battery. 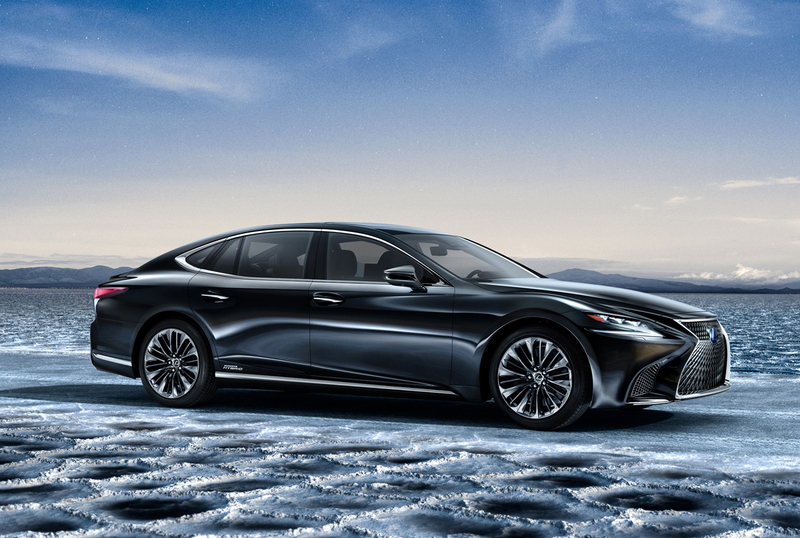 The end result is a luxury sedan that with its new platform architecture’s low center of gravity and near perfect weight distribution should provide drivers with an experience behind the wheel not only invigorating but traditional in feel. 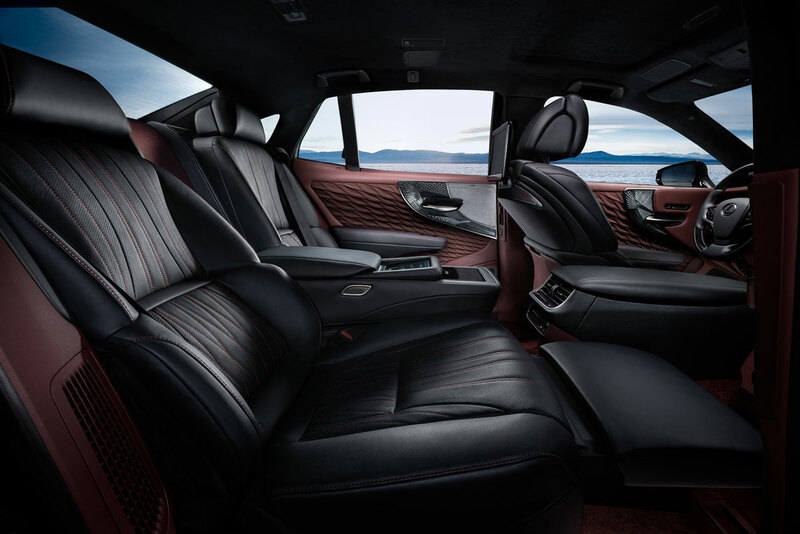 The interior of the new Lexus LS 500h will benefit from many special touches and materials much like rest of the LS line. 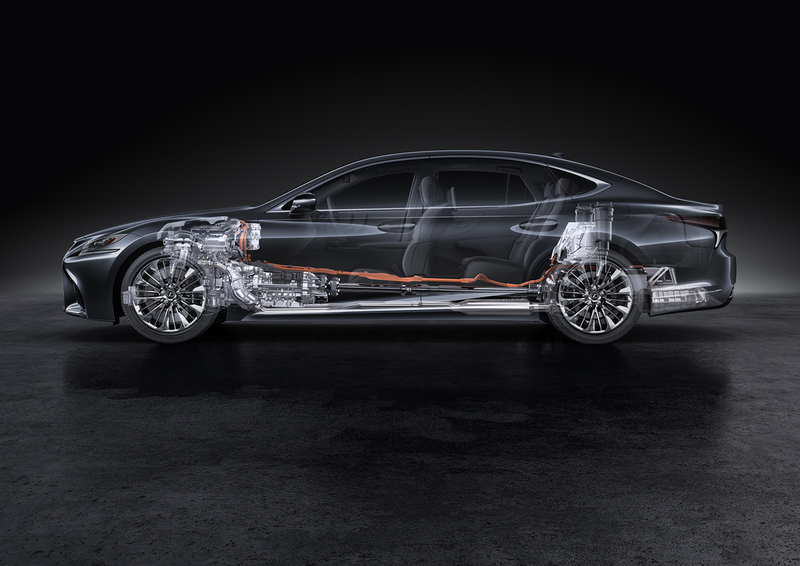 Making its debut on this car is a hand pleated door panel detailing that mimics origami patterns. 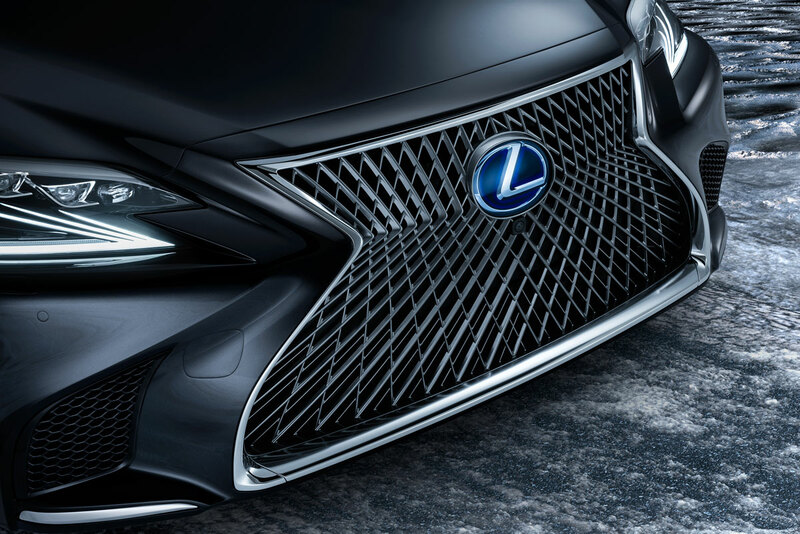 Also seen here is a very intricate Kiriko glasswork, polished and strengthened to be beautiful yet durable for use in a luxury car. 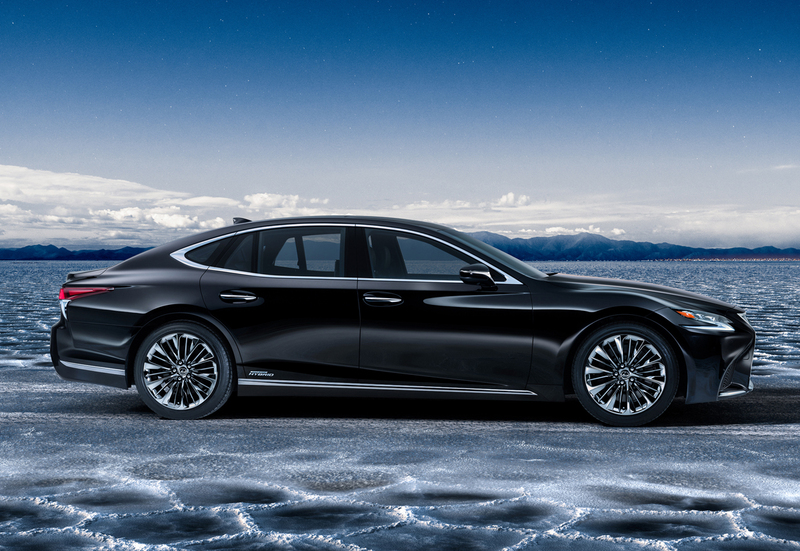 Its spacious cabin afforded by its long 123-inch wheelbase allows for a rear cabin fit for a king with available sliding and reclining seats with ottomans, heating and ventilation, not to mention massage functions. 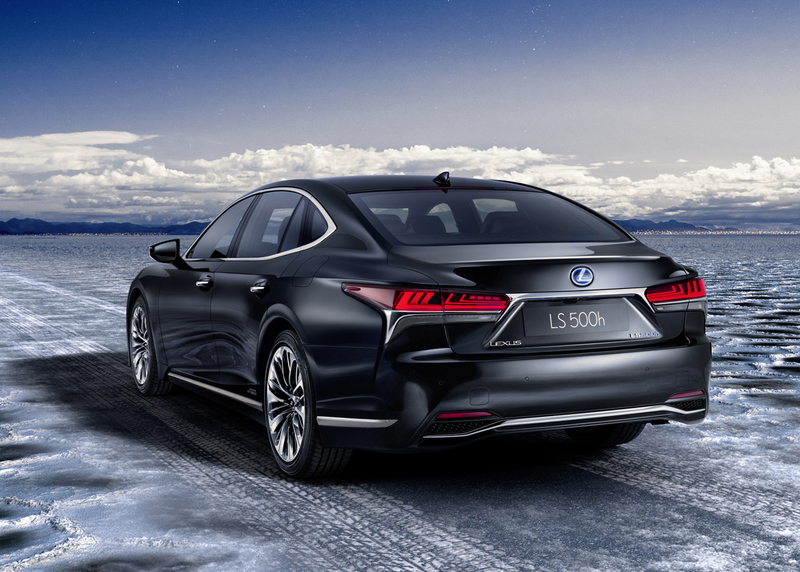 Pricing for the 2018 Lexus LS 500h hasn’t yet been announced nor have final EPA estimates but we can expect these metrics a bit later this year closer to when the car is due to arrive.